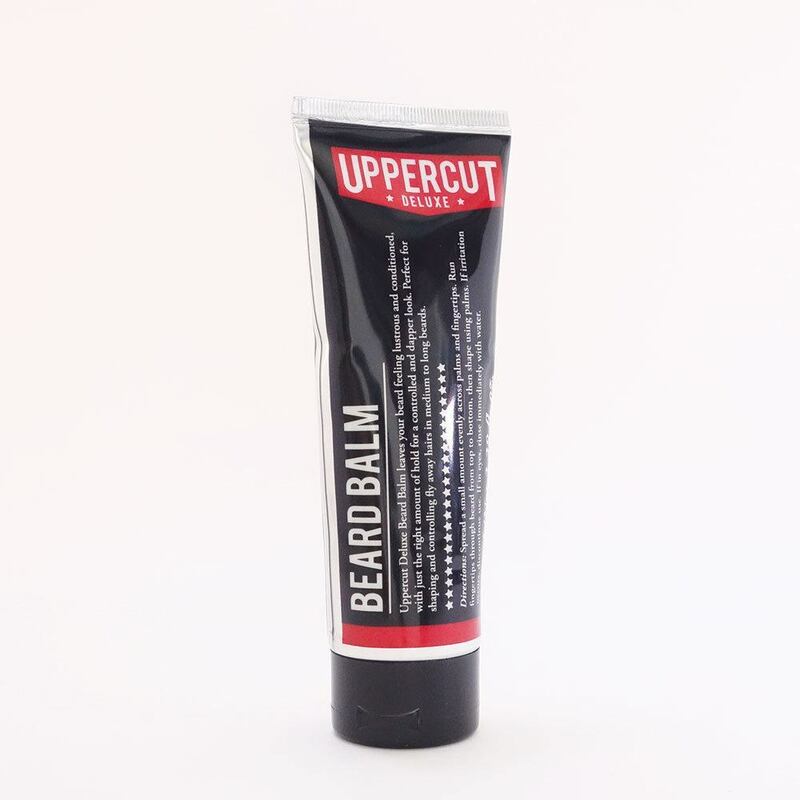 Introducing Beard Balm from Uppercut Deluxe. Much like the hairs on your head, beards need care and attention to keep looking good. With just the right amount of control and shine, Uppercut Deluxe Beard Balm will keep your beard shaped and controlled, reducing those annoying flyaway’s while keeping your dapper and distinguished look in place. No one likes a shiny, greasy beard after all… The best bit – your beard will be left feeling nourished and moisturised. Apply to a clean, dry beard. Use a thumbnail size amount of product, spread evenly across both palms and fingertips. Start by using fingertips to work the product into hair around the jaw line and cheek area, then use long strokes with your palms to shape and apply product to the length of your beard.